Beginning in the 1960s, toxic PFOA and PFOS chemicals were used in everything from food packaging, shampoos, toothpaste, and cosmetics to aerospace and automotive products. American manufacturers have stopped producing these dangerous contaminants. But they’re still lingering in our environment, contaminating our drinking water, and compromising the health of communities across the country. Tell Governor Andrew Cuomo to protect drinking water and safeguard families and children across New York from PFOA and PFOS contamination. 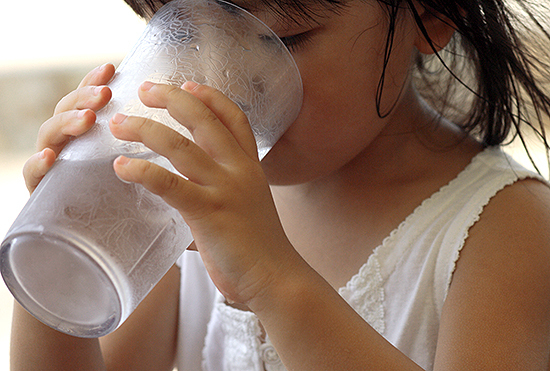 Tell Governor Andrew Cuomo to safeguard families and children across New York from PFOA and PFOS contamination — and protect safe drinking water for all! Dear Governor Cuomo: I urge you to protect families and children across New York from the dangerous health impacts of PFOA and PFOS chemicals. These contaminants are linked to cancer, thyroid and liver disorders, harm to the developing fetus, effects on the immune system and hormones, and other serious health effects. We need strong, immediate action. Something must be done. Please work with the Department of Health to: * Adopt maximum contaminant levels (MCLs) for PFOA and PFOS in the range of 4 ppt to 10 ppt * Help clean up contaminated drinking water sources across the state * Conduct a statewide health survey to help communities faced with contamination * Create an advisory board to help mothers and pediatricians deal with babies and infants at risk of contamination In the absence of federal action, New York must step up immediately to fight for safe drinking water for all. Please take strong, immediate action to safeguard the public health and wellbeing of communities across the state. Thank you.